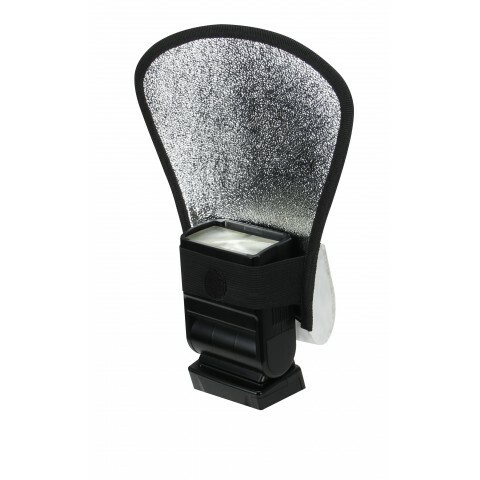 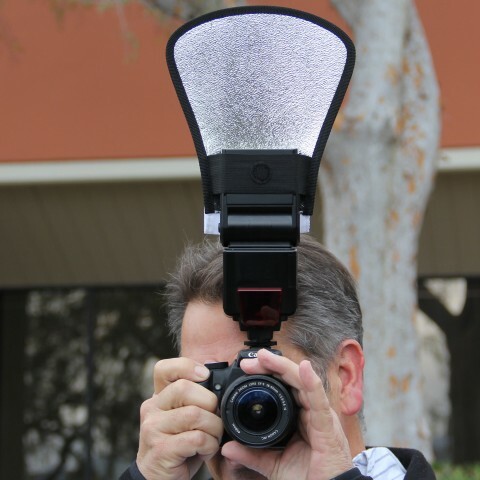 The diffuser grip sonto most external speedlites and hotshoe flashes. 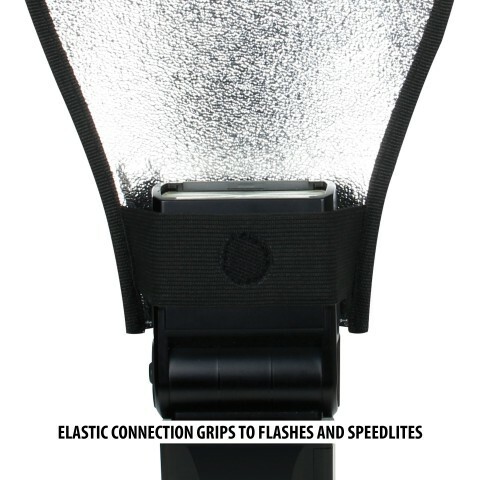 Simply stretch the elastic strap onto your external flash and start snapping. 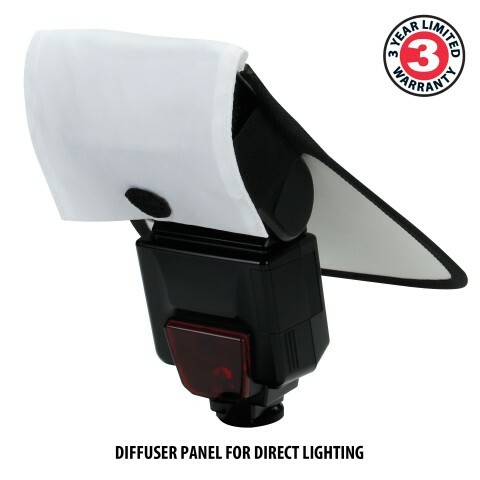 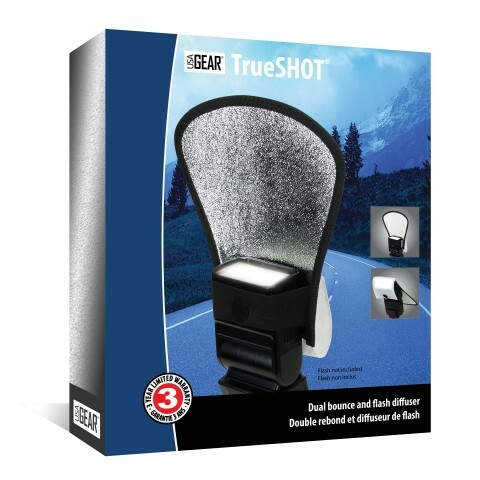 The diffuser setting works by inserting the flash under the elastic strap facing downwards and wrapping it over the front of the flash. 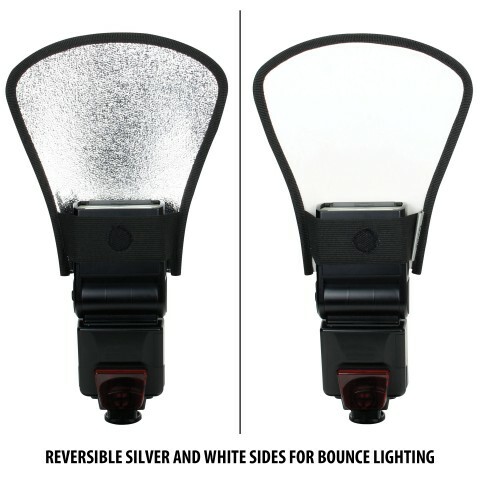 Then, connect it to the elastic hooks on the reverse side and you're ready for action. 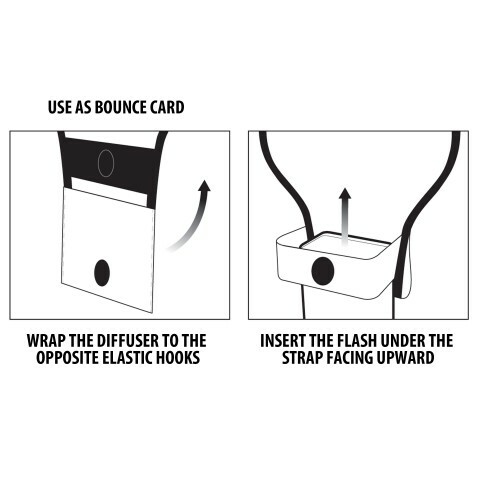 Along with attaching the bounce diffuser normally, it also functions as a bounce card. 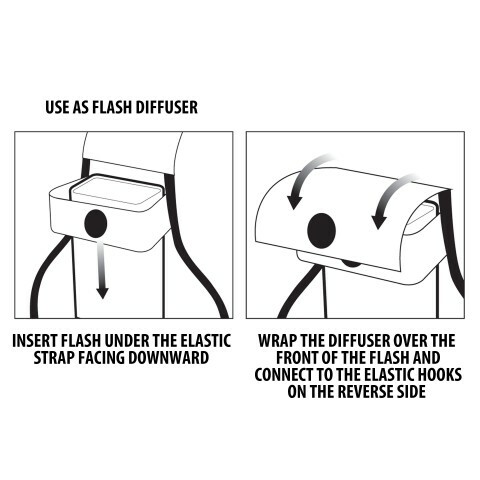 Simply wrap the diffuser to the opposite elastic hooks and insert the flash under the strap facing upwards.